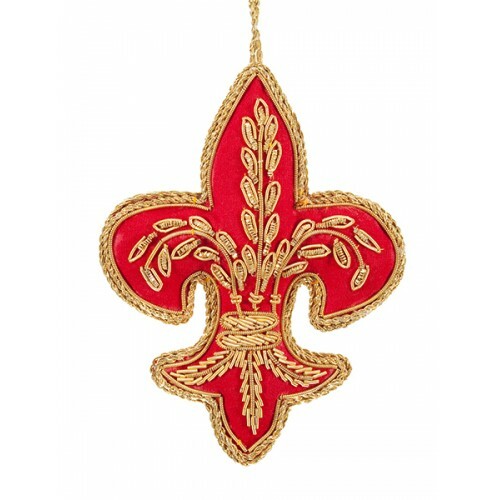 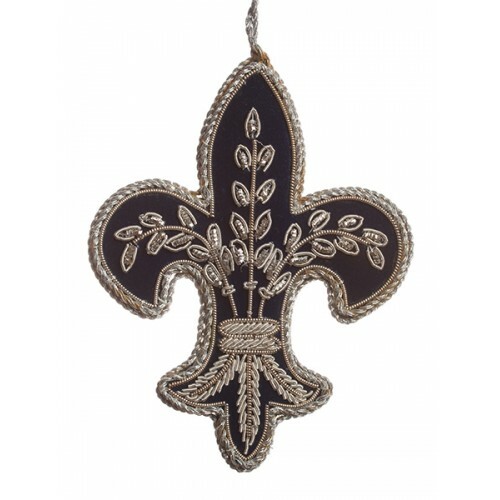 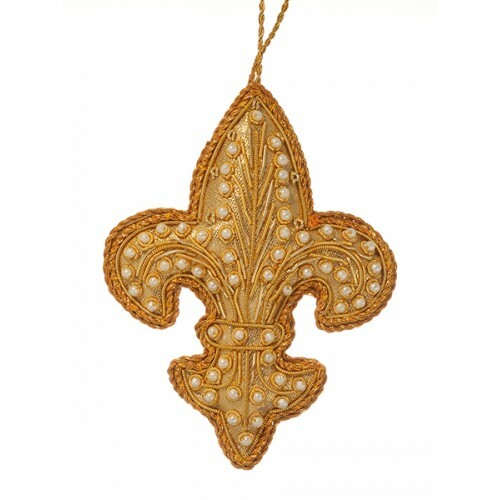 Encrusted with pearls and gold metal threads this Fleur de Lis is a potent symbol. 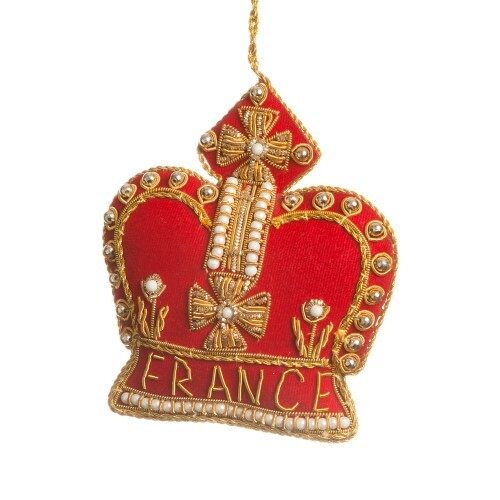 Heraldic embroidery has used metal threads to emblazon robes and banners for hundreds of years, and we are proud to carry on this tradition. 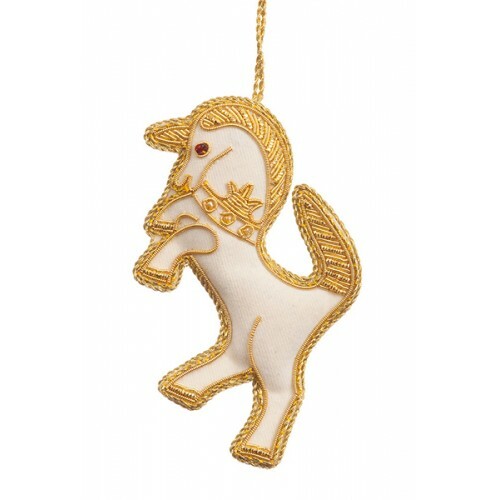 A symbol of purity and virtue, this Unicorn is inspired by the full coats of arms of the United King..